On Monday, America will fall under the path of a total solar eclipse. While many of us look forward to this event, in the world of third party risk management, being kept in the dark can be a very bad thing. 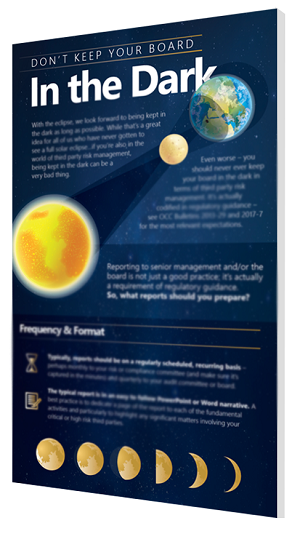 Reporting to senior management and/or the board is not just a good practice; it's actually a requirement of regulatory guidance.